You see a map that shows territory of Argentina, of Chile. You can find here city Punta Arenas marked. 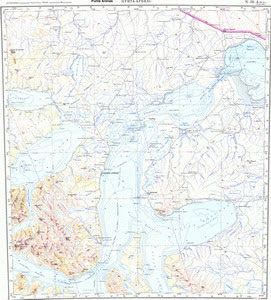 On this map Monte Aymond free download. El Condor for Garmin. Tres Puentes for Garmin. San Juan for Garmin. On this map Rio Seco presented. You can find here Rio Nuevo free download. You can find here Rio de los Ciervos marked. You can find here Reserva Fiscal download for free. On this map Punta Espora marked. On this map Punta Carrera for Garmin. You can find here Puerto Zenteno marked. Displayed Puerto Yartou download for free. On this map Puerto Sara for Garmin. On this map Puerto Progreso download for free. On this map Puerto Nuevo for Garmin. Puerto Curtze free download.